Divorce and family law issues in Arizona strike close to the heart. Making the right decisions for yourself and your family requires a diligent advocate and knowledgeable guide through the Arizona legal system. Our Arizona Family Lawyers will work closely with Arizona families and individuals to guide them through potential divorces, child custody, modifications, and prenuptial agreements. The experienced attorneys and staff at My AZ Lawyers recognizes that each client and situation is unique and requires individualized attention. Our family law team tailors its approach to fit the specific needs of each client and the issue at hand while, at the same time, providing quality and cost-effective representation. As a result, our Glendale, Mesa, and Phoenix, Arizona family law lawyers have helped countless individuals throughout the state of Arizona find success in their divorce, child support, child custody, and other family law matter. In other words, don’t delay in getting the help you need, speak with an Arizona Divorce Attorney today. In addition, our divorce and family law lawyers can help you take control of your life. For example, a dedicated family law team gets the information and help you need for a successful case. Also, our low cost Arizona family law experts can help you through these difficult times; ensure you are in control of your situation; and help you start on a new road to success. When dealing with family law issues, there is so much at stake. Thus, the outcome of a divorce, child custody dispute, or other family law matter can have a significant impact on your parental and financial rights. Make sure you have a trusted family law lawyer on your side working to protect you and your rights. It is critical that you retain a highly qualified Arizona family law attorney, don’t chance such an important issue to anyone other than the best. 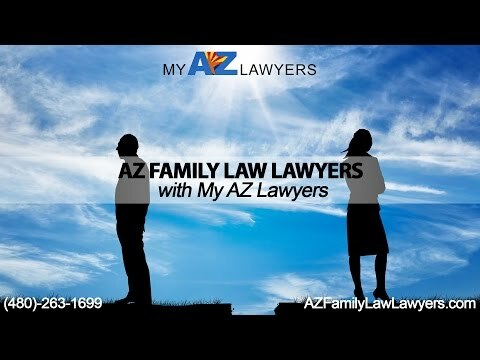 When dealing with Arizona family law issues you may be faced with such challenging issues as: child custody disputes, divorce or separation, paternity cases, adoption, spousal support, or prenuptial agreements. Finding an experienced Arizona divorce and family law attorney may be crucial. Call us today. We provide free consultations and payment plans for every budget. Family law situations are usually intense and can be quite heated as emotions run high. Therefore, when choosing an Arizona divorce or family law attorney, choose an attorney you are comfortable working. Remember, hiring a lawyer who is looking out for your best interests is paramount. Our Arizona family team will listen to your needs and provide options for you. We also base our focus on how you want your case to proceed and mix it with our legal experience to provide the best outcome. Furthermore, our experience and dedication make our Arizona family team the one you want on your side. Our Arizona Family Law Attorneys and staff work tirelessly to assist our clients from start to finish on all of their family law needs. Additionally, we have a large staff and the necessary resources, insights, and attention to protect our clients’ rights in matters of adoption, custody, divorce, and other family law matters. Plus, no matter how complicated or intense your case; we are ready to pursue as amicable a resolution as possible. What are some reasons to choose our Arizona family lawyers and divorce attorneys? Additionally, the experienced divorce and custody lawyers of My AZ Lawyers provide services to clients throughout Arizona, including, but not limited to Maricopa, Pinal, and Pima counties serving cities such as Phoenix and the Phoenix Metro Area including: Glendale, Mesa, Gilbert, Tempe, Chandler, Apache Junction, Scottsdale, Paradise Valley, Fountain Hills, Queen Creek, Ahwatukee, Casa Grande, Florence, Superior, Globe, Flagstaff, Payson, Prescott, Tucson, Avondale, Peoria, Cave Creek, and other communities in Arizona. So call our Arizona Family Lawyers now for a free consultation.